Nutter will host The Capital Network’s (TCN) Life Science Venture Fast Track 2016 on February 25. The program is an intensive, interactive full-day seminar designed to provide entrepreneurs, physicians and innovators an in-depth understanding of what it takes to raise early stage capital specifically for life science startups. Adam Ghander, a partner in the Emerging Companies Group, will present “Startup Story: Wellable,” interviewing Wellable Founder & CEO Nick Patel & Chief Medical Officer Shaan Gandhi on Wellable’s journey from idea to company and what the trajectory of a successful life science startup looks like. Michelle Basil, chair of Nutter’s Life Sciences practice group, will present “Money & Metrics: Understanding your Stage and What it Means for Fundraising,” discussing the use of scoring sheets and lean canvas methods to gain a clear picture of what pieces are missing in one’s company structure to maximize one’s fundraising prospects. Will Bernat, a partner in the Emerging Companies Group, will present “Negotiations and Term Sheets – an Entrepreneur and Investor Perspective” which will focus on the funding process from start to finish from the perspective of an experienced entrepreneur and his investor. 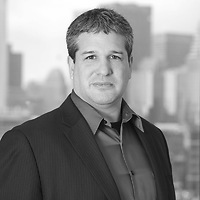 Jeremy Halpern, a partner in the Emerging Companies Group as well as a TCN board member, will present “Pitching the Plan” which will focus on how to target, locate, approach, and close with venture capitalists, angels, and strategic investors.